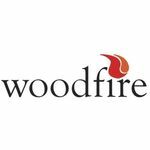 The range of Woodfire Technical stoves and boiler stoves range from heat outputs of 3kW to 40kW, this means that they are suitable for most domestic properties what ever the heat load requirement is. Three new additions have now been added to this family offering greater choice still. The RH Panorama Ultra XL is an impressively sized room heating stove, with a almost all glass door that is 1,760mm in width and 565mm in height, this stove makes an excellent centre piece to the larger room. With high efficencies over 80% and its primary, secondary and tertiary direct air this stove provides excellent control, allowing you to run it at 21kW, but also right down to 5kW with a clean flame. The RH Panorama Ultra XL really is one of the heavy weights of the stove world, weighing in at just over 550kg.